This month marks the anniversary of the founding of the Crimean People’s Republic (CPR), one of the many ephemeral democracies that arose in the vacuum created by the Russian civil war, only to be destroyed by Bolshevik forces – another fine example of ‘anti-imperialism’ in action. The CPR’s history disproves two western prejudices: the idea of Islam as a force hostile to modernity and of Ukraine as a backward land. It is important to understand the seeds of the Crimean People’s republic, its significance and parallels to past history. The republic was a remarkably progressive entity complete with female suffrage and secularism. Reactionaries would probably try to dismiss the CPR as a product of nominal or ‘cultural’ Muslims who weren’t really Muslim at all; a view shared by Wahabbis who, like the so-called ‘counter-jihadists’, believe only they can determine who is ‘really Muslim’. The Crimea was not simply a Muslim land; its Khanate was a major centre of the Islamic world with a culture equal to the most celebrated states in Islamic history. According to Fisher, the Khanate was ‘not a feudal monarchy, an absolute monarchy, a patimonial state or an oriental despotism’; it was ‘something quite different…perhaps without European parallel.’ Clan authority was ‘manifested’ through the Kurultay assembly: a proto-democratic institution that ‘had no Ottoman parallel.’ Ukraine historian Paul Robert Magocsi describes how Clan leaders ‘formerly elected’ new Khans from the Giray dynasty. Apart from the Kurultay elders, clan leaders, clerics ‘determined Crimean governmental policy’ through the Khan’s state assembly (divan). Common Tatars also enjoyed more liberty than their Christan neighbours, with a significant proportion of them retaining nomadic traditions, and they had a large urban population. Fisher describes how Tatar peasants were ‘always legally free’ and how ‘there had never been serfdom in any form in the Khanate.’ He also details how Crimean education ‘was as complex and thriving as that of the Ottomans and more advanced than Muscovy’. Female education also existed within the Khanate’s borders. Therefore Crimea did not settle into grueling feudal agriculture which retarded development in South America, Russia and Romania. The distinct traditions, institutions and pluralism were clearly a fertile ground for democracy similar to how the Polish-Lithunian Commonwealth’s traditions allowed the Polish people to develop a thriving democratic tradition (though the Rzeczpospolita had less liberty than the Khanate). It is no accident that Poland and Crimea are among the most democratic lands in what is referred to as ‘Eastern Europe’, while Russia, with its centuries of religious intolerance, autocracy and racism, continues to slide into the depths of authoritarianism. The fact that the Crimean People’s Republic was founded by Noman Celebicihan, a devout Muslim mufti, presents a strong blow to the delusions of the counter-jihadists. Yet Celebicihan was more than a cleric; he was an accomplished lawyer and author who was an example of the best the 20th century had to offer. The republic’s founder was not an isolated historical figure, he was a direct product of a 19th-century Tatar Islamic movement which emphasized modernity and adapting to the West as the only way to save Islam. Men like Ismail bey Gaspirali, Shihabeddin Merjani and others supported reforms, gender equality and importing Western ideas. An examination of the Crimean People’s Republic reveals that it was a successful experiment in one of the purest forms of democracy. The constitution clearly specified the only valid laws were those that came from the will of the people and had considerable safeguards against abuse of power like a specification that the Kuraltay parliament should be reelected every three years. The republic was more democratic than many modern western states and if Crimea had remained unmolested it would have become a thriving democracy decades ahead of many Western European countries. Crimean Tatar traditions continue to produce people who personify the best of the West. Contrary to popular belief, the record for the world’s longest hunger-strike does not belong to Nelson Mandela, Mohandas Karamchand Gandhi or any other human rights celebrity, but to Crimean Tatar leader Mustafa Dzhemilev. H devoted his life to fighting for the Crimean right to return after Stalin’s genocidal deportation of his people (paralleled by Operation Lentil), and unlike Mandela, he never resorted to violence. Mr Dzhemilev celebrated his 69th birthday last month after completing a goal long thought impossible and surviving the Soviet union. 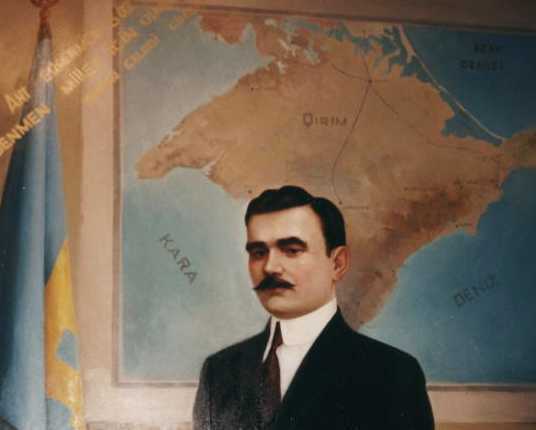 We should mark the Crimean People’s Republic by honouring Crimean Tatar civilization, remembering the men who perished in defense of their homeland and celebrating Crimea’s living heroes. After much thought, I have decided to close with the republic’s anthem written by Noman Celebicihan. Let the dark streams of blood of my heart go dry ! How may two brothers not see one another ? Let the tears that flow from my eyes become a river, a sea of blood ! Still one day the gravediggers will come to bury me !